Where branding or logos fit neatly into borders, this full-colour dye sublimation border towel offers a more subtle approach compared to our fully printed towels. 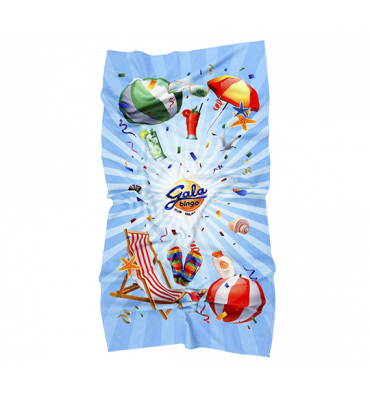 The main part of the towel is plain white terry cotton and the border is 100% polyester, which is digitally printed with the custom design to either one or both borders, spanning the whole width of the towel. An alternative is to have the main part of the towel dyed to a specific Pantone colour. Available in a range of sizes to suit many different applications, including, sports events, gyms and spas. Our border printed towels are a functional, cost-effective solution to enhance your brand.